Our large design team is based in London. We merge our expertise in emerging fashion trends worldwide in shapes, colours, fabrics with a deep understanding of the needs of each consumer segment, to develop unique and bespoke ranges of garments for each of our clients. We operate two sampling workshops in London and in Romania, with a capacity of more than 150 samples each week. Alison Hayes thus ensures all clients are given well designed, fit for purpose, great-quality buying samples. 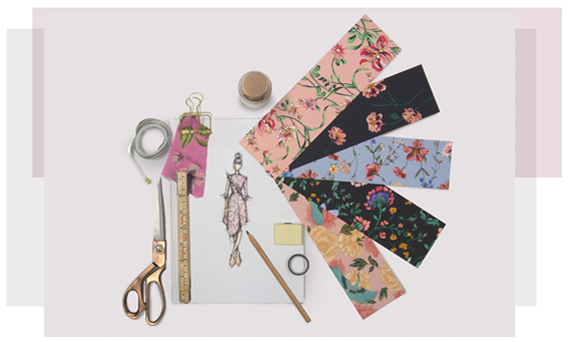 Our experienced team of pattern cutters, garment technicians, fabric and trims specialists work seamlessly together to ensure that client quality standards are set clearly during the development process and met during production. ethical trading standards, set technical standards, supervise quality and monitor adherence to critical path. We have a strong belief in ethical trading and work closely with all our factories not simply to ensure that customer requirements are met but also that factories adhere to all local employment legislation and apply strict diligence in health and safety matters. We believe in working with factory management to continuously improve their standards in this respect and actively support all client initiatives that help in this respect. We also believe in supporting local communities wherever we can and are proud to support charities in our production countries with a special focus on those supporting women and families. Alison Hayes keeps focus on quality by supporting our sub-contract factory base with an experienced team of highly skilled QCs assisting the factories in managing technical and fabric issues, pre-production approvals, as well as in-line inspections and final AQLs, which are conducted on all deliveries, regardless of order size. We understand the importance of fabric testing. To ensure the highest standards, we rely on our in-house fabric testing and inspection teams, to carry out due diligence testing (including garment washing and where required wearer trials) and to work with suppliers to ensure both commercial and legal standards are followed.